This site contains information about Long Point, Ontario, Canada. Long Point is a sand spit jutting some 20 miles into Lake Erie. The Point and its surrounding waters offer much to angler, hunter and recreational boater. This site focuses on topics that may be of interest to people who enjoy these pursuits. However, other information about Long Point and the surrounding Lake Erie ports of Port Burwell and Port Bruce can be found here. Check the site out for fishing reports and boating information relating to these ideal fishing spots in Lake Erie’s Central and Eastern Basins. Stomp has been plying the waters of Long Point Bay and Lake Erie for over 30 years, many of those early years he spent in his family’s 1979, 19.5 ft. Crestliner “Crusader” runabout. He should know more than he does about finding the Long Point Bay’s fish and avoiding its sandbars. He runs this site with the hope that others will share their fishing secrets and navigational knowledge. 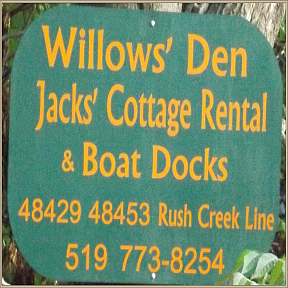 See Jack for cottage and dock rentals on the water in Pt. Bruce.